Designed in 1969, the original Neve 2254 mono Limiter/Compressor unit quickly became a legend. Discreet, Class A design and transformer-coupled circuits ¬ used in the input, innovative bridge-driver design, side-chain and output stages ensured a totally unique sound. The original 2254 units are still sought after, decades after production stopped, and they remain one of the milestone pieces of studio equipment. Forty years on, the 2254's successor, the Neve 2254/R mono limiter/compressor represents another milestone. Not only does it retain the original 2254's unique sonic characteristics ¬ using the same architecture, matching components and original hand-wound transformers ¬ but enhances it with the features that modern-day producers and engineers have asked for. 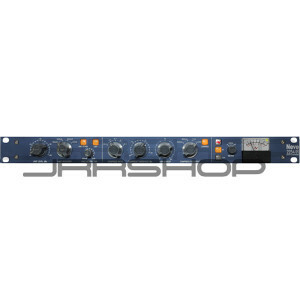 Whereas the original, developed before outboard designs had been standardised, was roughly cubic in shape, the new 2254/R comes in 1U 19” rack-mount form. And the new model allows settings to be saved and recalled using Neve Total RecallTM software via USB. There’s also manual adjustment of Fast Attack Time, continuously variable between 100µS and 2mS. Plus enhancement of the signal presence LED, which changes from green to red to warn of imminent clipping.